"As a man who has spent decades championing women's healthcare and environmental protection, I was distressed to learn of Pan Bahar's unauthorized and deceptive use of my image to endorse their range of pan masala products. 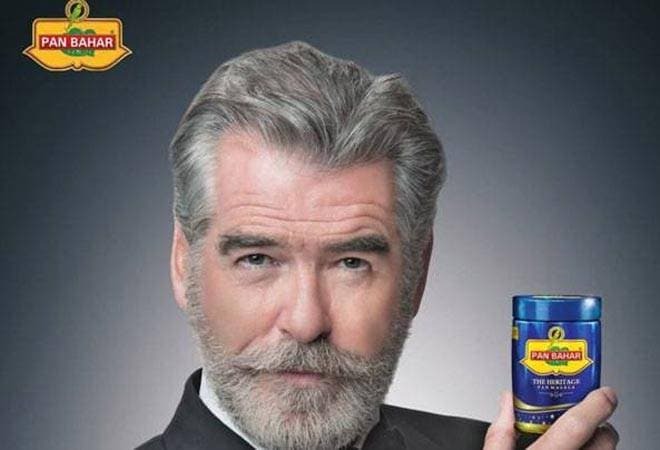 "I would never have entered into an agreement to promote a product in India that is dangerous to one's health," Brosnan said in a statement. According to the actor he agreed to advertise a single product only, and that it was presented as "all-natural containing neither tobacco, supari, nor any other harmful ingredient." "Having endured, in my own personal life, the loss of my first wife and daughter as well as numerous friends to cancer, I am fully committed to supporting women's healthcare and research programs that improve human health and alleviate suffering," the statement continued. "I shall endeavor to rectify this matter. In the meantime, please accept my sincerest and heartfelt apologies to all whom I have offended," the statement concluded.